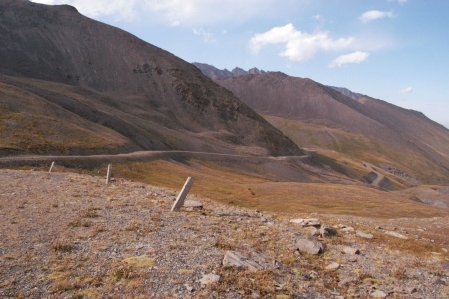 The gravel road to Kegety Ashuu pass (3,780 m) places very high demands on the driver as well as to the material. You will be rewarded with some fascinating views and breathtaking panorama. If lucky some hold is one so there is the possibility that you can get a herd of ibexes to face. 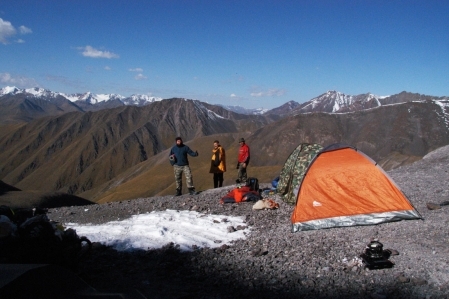 From the Kegety pass you can go to Kochkor or the Karakol pass (3,485 m). 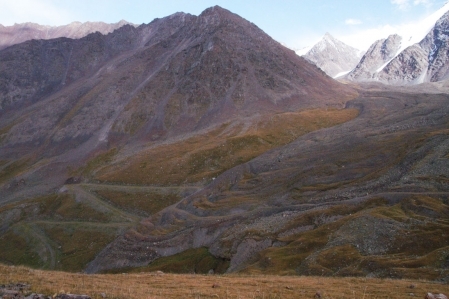 I would recommend the route over the Karakol pass. The landscape and the views are simply awesome. Gravel road, very poor condition. Only with 4x4 Jeep, Quad, ATV, UTV Side by Side, etc. to know. Not suitable for heavy road motorcycles.